Wifi network for hotels, timeshares and directly to tourists through its area networks. We also provide fast broadband services to homes and businesses. All sorts of info about property, investment, events and other topics of interest to visitors to and residents of Gran Canaria. Boat repairs, fibreglass, painting, antifouling treatment etc. RYA approved sailing school. Learn to sail or improve your skills. Sail training programmes to suit individual or group needs. Boatbuilder, new teak decks, repairs to existing teak decks, all aspects of interior and exterior marine woodwork carried out. Launderette and a next-day laundry service. Washing, drying, ironing. 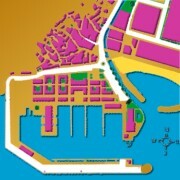 Info voor Puerto de Mogan. Info about Puerto Mogan in Dutch. Sailmakers & Yacht services. All types of sails, accessories, rigging design. We make sails and covers, repair sails and carry out any type of rigging work. At the tourist information kiosk by the beach you can find out more about the area, what's going on and book tickets for various activities. 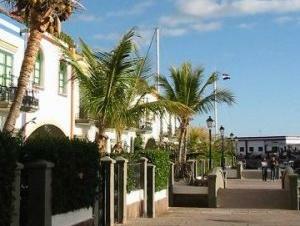 Explore the Spanish quarter of Playa Mogan. Wifi network in Puerto Rico,Mogán beach and Amadores for hotels, timeshares and directly to tourists through its area networks. We also provide fast broadband services to homes and businesses. We offer various treatments and refits for fibreglass boats including osmosis repair and high-quality finishing repaints using professional materials. Discover the Canary Islands with this tourist guide. Find hotels, apartments, flights and everything else for your holidays. Rental of electric scooter and beach wheelchairs. Information on transfers and accommodation for wheelchair users. Website about Gran Canaria and a blog featuring news, views and stories about the island. Gran Canaria Mobility Hire - Scooters, wheelchairs and other mobility and disability aids and equipment. Info voor uw Vakantie Gran Canaria. Guide to Gran Canaria in Dutch. Estate agent in Maspalomas, Gran Canaria. We will help you to find the house of your dreams.